Cost to Install Aluminum Siding & Breakdown Per Sq. Ft. 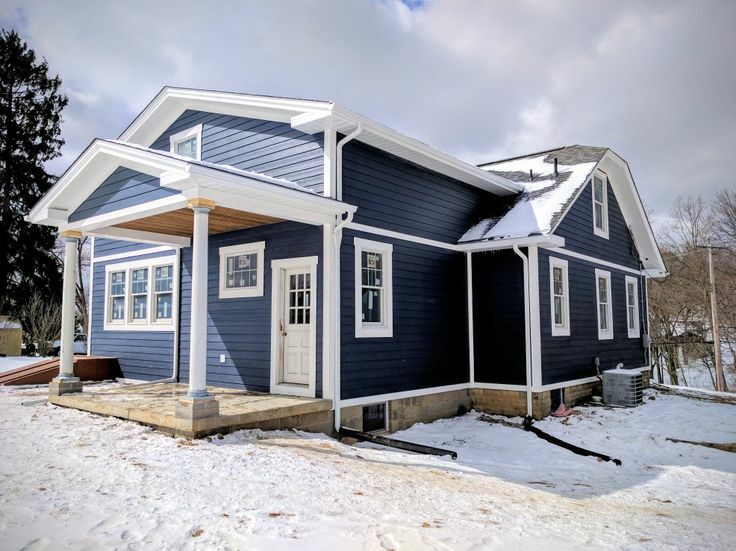 In the contest between fiber-cement board siding, such as HardiePlank and vinyl siding, almost all factors point to the side of fiber-cement board except for one thing – the cost. The hands-down winner in the popularity contest is vinyl siding. This is the most common siding used on homes in the U.S. When it is installed correctly, it is beautiful and will give you years of service without destroying your budget. Vinyl siding will last for ten years or more, with some variables based on your climate and location. Vinyl is easy and lightweight to install, and requires very little maintenance. A good cleaning with a power washer every 3 or 4 years is usually enough to keep this product looking like new. It is available in just about any color you want, and you can order various textures to coordinate with your home’s architecture. The color is mixed in at the manufacturing facility, so the entire plank is saturated with the color you choose. This means that scratches and nicks won’t show up as badly. Most vinyl siding will exceed its manufacturer’s promises. With today’s materials and processing, vinyl keeps its shape regardless of temperature or high winds. The colors are strong and vibrant for years. 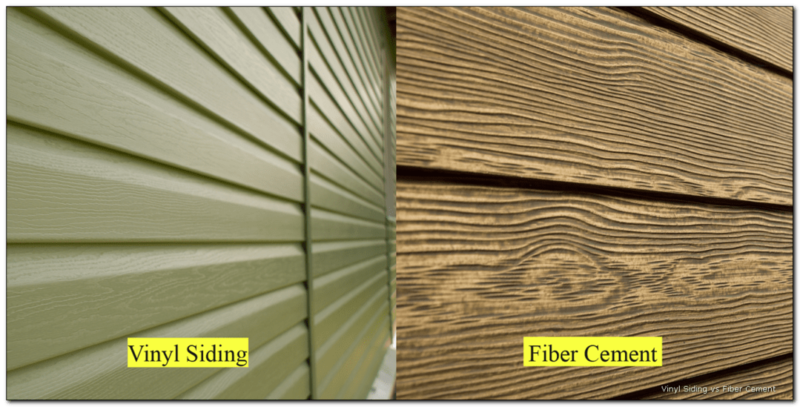 Fiber-cement siding is a man-made material using wood fibers, clay, sand, and Portland cement. This slurry is mixed and shaped into any of the preferred profiles such as stucco, wood, and brick. While it does have wood fibers in it, it is termite-proof and fire-resistant. It won’t rot, either. This siding is rugged, capable of standing up to flying debris from storms or lawnmowers. It is low maintenance, requiring occasional power-washing. 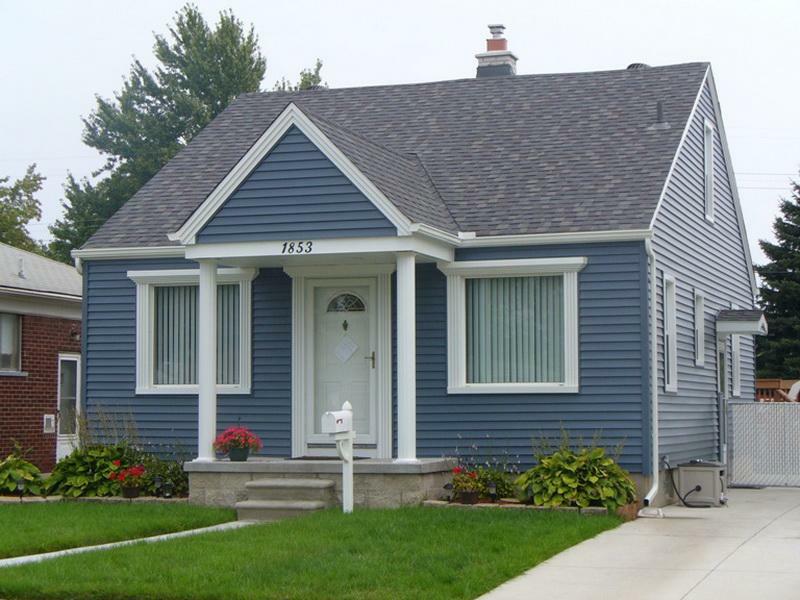 Vinyl siding is nearly always less expensive than any brand of fiber cement siding. The cost to have vinyl siding installed by a professional ranges from $3 to $7 per sq. ft. 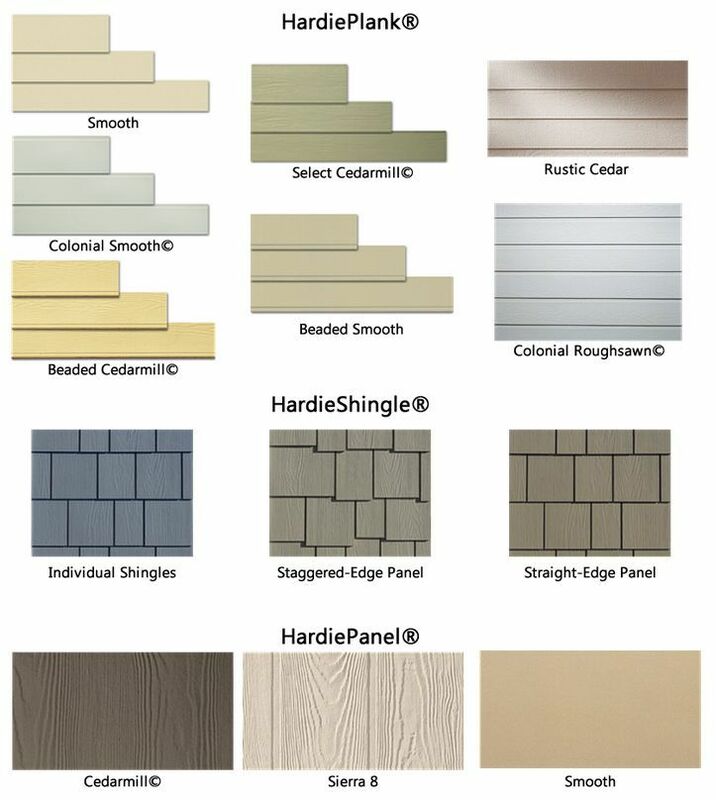 The cost to have fiber cement siding installed by a professional ranges from $5 to $10 per sq. ft. Installation of vinyl runs from $3 to $7 for each square foot, while fiber-cement siding installation is two to three dollars more per square foot. This is partly because the heavier boards cost more to transport, hence more shipping costs. Also, siding contractors often use bigger crews because the fiber-cement planks are heavier. In general, most contractors will tell you that the most you would pay for vinyl siding installation will be the starting point on Hardieboard. Fiber-cement siding does require a little more routine maintenance than vinyl. However, it needs far less maintenance than wood siding. Part of the maintenance is painting. While the vinyl will not need to be painted until it becomes faded (in 10 years or so), Hardieboard will need to be painted periodically. Wood products will soak up the paint, but fiber-cement does not absorb anything. If you live in a climate with extreme heat or bright sun, your paint job will need to be redone more often. Pre-painted Hardieboard is a viable option, but this, too, will eventually need painting. It will be important to maintain the caulking on fiber-cement siding, too. While this type of siding does not rot, the structure to which it is attached CAN rot. Therefore, it is important to keep moisture from seeping behind the siding. Every kind of siding must be repaired periodically. Brick has to be re-pointed, wood has to be sealed or painted, stucco must have cracks and chips maintained. Normal wear-and-tear from the environment, pets, and outdoor activities cause damage to siding, as well. Then, there is always that one spot that the contractor had trouble with. He couldn’t get the siding nailed down in that spot, or there is no flashing. All siding will receive impact, whether it is from tree limbs, hail storms, or kids playing outside. If left un-mended, the damage can result in water damage to the house or invasion from insects and mice. 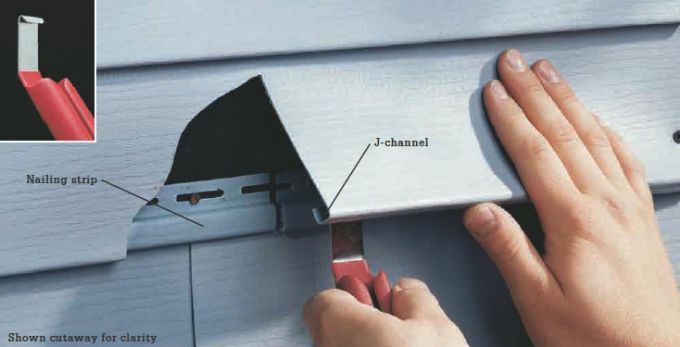 When vinyl siding is damaged, it is fairly simple to slide an unlocking tool (designed specifically for the job) behind the joint between the panel above and the damaged panel. Once the panel is unzipped, you can remove the nails from the nail strip and remove the damaged panel. Then, you slide the replacement panel in place, nail it in, and zip it closed. If the vinyl has faded and the new piece has a more vibrant color, you can switch it out for an aged one on a less visible spot on the house. It takes a lot to actually damage a fiber cement board, but if it is broken or cracked, it’s hard to fix. Fiber cement planks are heavy and require two workers for the installation. You will have to use a pry bar to loosen the plank above the damaged one, being careful not to cause further damage. Once you have gained access to the nail strip, you remove the nails holding the damaged plank in place. You will probably have to use shims to keep the upper plank away from your workspace and to protect it from tools. If you can’t get the nails out of the damaged plank, you may have to use a saw. Both vinyl and Hardieplank are very durable. However, Hardieplank is a little tougher. Fiber cement siding is thicker than vinyl and less likely to break when it receives a strong impact. Both of these products are more durable than wood lap or cedar shake. Wooden products require regular painting and staining to retain their protective qualities. High-quality vinyl siding is flexible, so when the lawn mower slings a stone into the siding, it will usually do no damage. However, as the vinyl ages, it will become more brittle. This takes about 10 years, during which the vinyl has usually paid for itself in property value, curb appeal, and utility savings. Brittle siding is more vulnerable to impact from hailstones or outdoor activities. In extremely freezing temperatures, older vinyl may crack. Extreme heat may warp it. This extreme heat may come from ambient temperatures or from having a grill too close to the side of the house. Check with your contractor to see if you live in a climate in which vinyl siding may have a shortened life-span. HardiePlank (also called Hardieboard) is basically made of cement. This means that it can withstand extremes of temperature and weather conditions, such as tornados, blizzards, and hurricanes. Wind, hail, and storms may crack a HardiePlank, but it won’t yield to extremes of temperatures or freeze-thaw cycles. Thicker siding is stronger. Heavy-gauge vinyl is by far a better choice than thin for your home siding. Heavy-gauge vinyl is about .052 inches thick. However, most vinyl siding is between .040 and .046 inches thick. Hardieboard is 2.5 times thicker than the standard vinyl siding, at around .25 to .28 inches thick. Both vinyl siding and HardiPlank have no appeal to pests. Woodpeckers, termites, and carpenter ants find no draw to these materials. If you keep your siding in good repair, they will have limited access to the wood and OSB used in the construction of your home. There is a difference between fire-retardant and fire-resistant. Fire-retardant products actually slow down the spread of flames, while fire-resistant products are capable of withstanding heat without damage. Wood siding is neither fire-resistant nor fire-retardant. It can be treated with some success, but even treated wood is not as fire-resistant as vinyl and fiber-cement. Surprisingly, vinyl acts as a flame-retardant. That means it will slow down the spread of flames. However, it is not as flame-resistant as some would want. Temperatures have to reach 700 degrees to actually ignite vinyl siding, but it will melt at 165 degrees. This means that a fire as far as 60 feet away may damage the vinyl on your house. HardiePlank is deliberately designed to be non-flammable. This was one of the goals of James Hardie when he invented his first product in the early 1900s. Each plank is 90% cement and sand, so it is quite fire-resistant. It is not completely fire-proof, but also does not feed flames. The fact that it does not feed flames also makes it flame-retardant. When it comes to versatility, vinyl is the hands-down winner. You can increase your home’s curb appeal and match the architectural style of your house more accurately with vinyl. 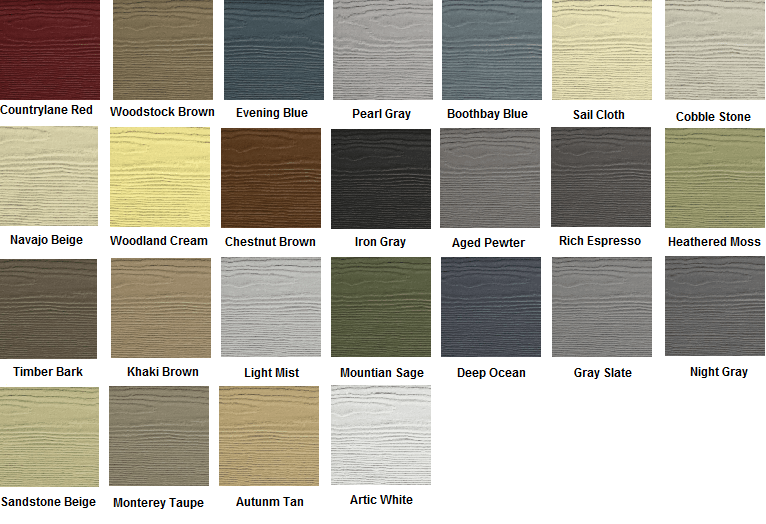 According to the Vinyl Siding Institute, vinyl is available in over 360 colors. The colors go all the way through the plank, so scratches and nicks don’t show up as much. HardiePlank can be ordered pre-painted. There are 23 colors available for this product. However, since fiber-cement boards have to be painted eventually, the color options are endless. Vinyl can also be ordered with wood-grain texture to further the look of authenticity. Fiber-cement planks can also be embossed with wood grain patterns. While vinyl siding is popular and affordable, there are those who say it does not replace the “real wood” look and that it doesn’t look natural. Vinyl is simply too thin – even the heavy gauge products – to deeply emboss with the desired texture. The alternatives are HardiePlank, aluminum, or wood. Fiber-cement, however, is quite thick and can handle deeper embossing. If you are looking for a natural-looking product that has a wood-relief, fiber-cement may be the way to go because it will look more like the wood you want. Without underlayment, no siding does a very good job of insulating a house. At most, you will get an R-Value of .6 simply by applying siding of any kind. However, you can have insulation installed under vinyl siding, increasing the R-Value to as much as 3. Fiber-cement has an R-V of .5 on its own, but you cannot install insulation on the underlayment. Both of these products will protect the structure of your home, but you won’t see a big change in insulation values, unless your house is completely un-insulated to begin with. Green siding is popular among homeowners who want to cut down on waste in landfills. Fiber-cement wins here, because it is made from natural materials that should have no impact on the landfill. Vinyl, on the other hand, is made of PVC that does not degrade. In some cases, it can release some toxins. However, that is not the end of the story. Granted, PVC, or polyvinyl chloride, does not degrade, and vinyl cannot usually be recycled. Manufacture also may produce toxins. Fossil fuels are usually used in the manufacturing process. But, vinyl siding will last up to 50 years. It also is very lightweight, so it takes far less energy to transport and install. HardiePlank, being made of cement, clay, sand, and wood pulp, is a largely natural product. The wood used is usually waste products from lumber mills, so trees do not have to be harvested as they are for wood siding and shingles. Unfortunately, it is very heavy. This increases the expense and energy demands for manufacture, transport, and installation. In addition, contractors have to cut the product on site, which creates clouds of dust that threaten the health of the installers. They have to wear respirators when cutting fiber-cement and the same precaution must be taken during manufacturing. The American Society for Testing and Materials International is charged with testing and certifying all vinyl siding products. Fiber-cement is not manufactured according to the standards of any one agency. Each manufacturer has its own formula and processes. That’s why it’s important to look for established manufacturers with a good reputation. Hardieboard is the original product that has set the standards other manufacturers strive to obtain. One of the reasons vinyl siding is so popular is because it is so easy to install. It is easy to cut with snips, without fear of any inhaled dust or toxins. The only special tool needed for installation is a locking tool used to zip the seams shut. It is lightweight, so it doesn’t require large crews for installation. 100 square feet of vinyl siding will weigh about 60 pounds, as opposed to 300 pounds of fiber-cement for the same area. Fiber-cement is much harder to install. Your siding contractor will have to use bigger crews and have saws handy for cutting the concrete planks. Safety precautions will also have to be observed. In addition, while the fiber-cement planks are very durable once they are installed, they are actually quite fragile on their own. If they are not properly supported with enough hands holding up the weight, the planks can break and chip. Installation costs for this product are usually about 50% more than what you would pay for vinyl installation. 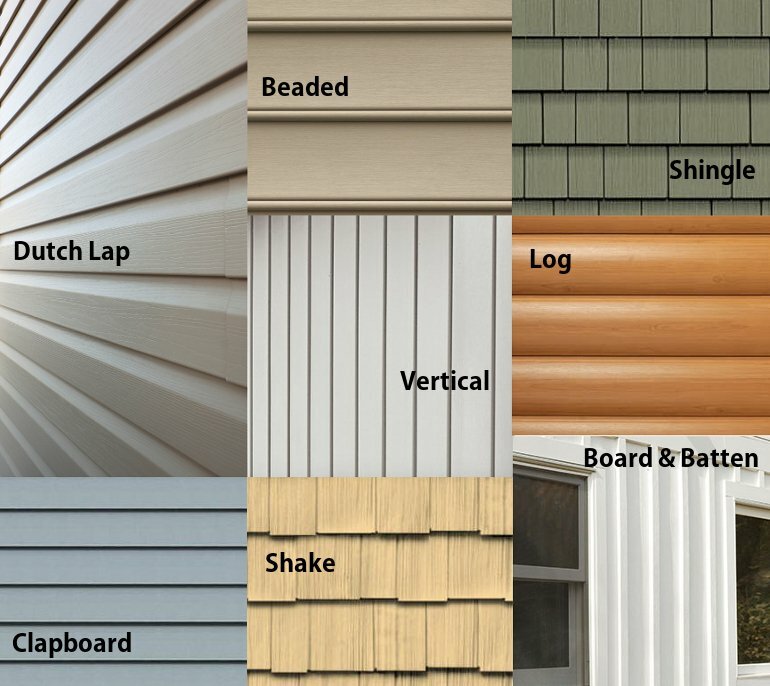 What do you think of vinyl and fiber cement siding? Which do you prefer? Tell us about your experiences in the comment section. If you would like a siding expert to answer your question for free, please join our forum and then post a topic.